Ubuntu is a beautiful word from the Xhosa and Zulu people of South Africa. It can be simply translated as human kindness and compassion. However, it is so much more than that, it includes the principle of connectedness: ‘I am what I am because of who we all are’. The images and news coming out of southern Africa right now are just the opposite of what ubuntu means. I can only hope that soon tempers will cool down and peace is restored to an area of the world that is so close to my heart. 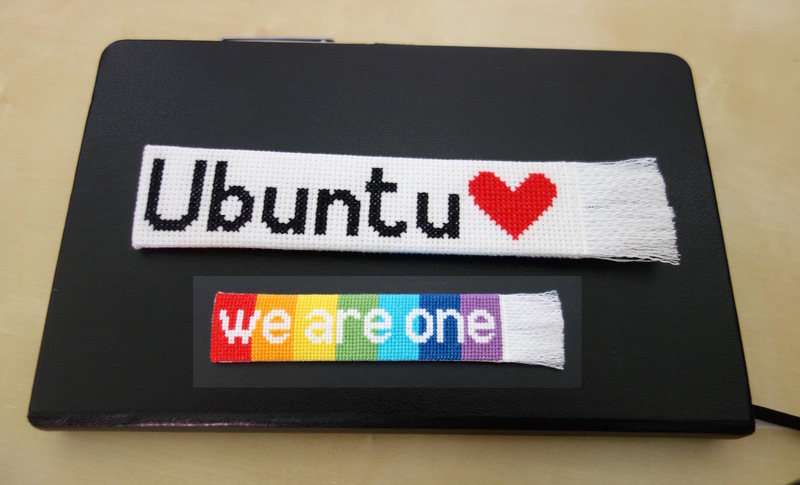 I felt compelled to create a chart for a simple bookmark with the word Ubuntu. For the back I have decided to chart the words “we are one” outlined in the rainbow colours. Each time I use the bookmark, it will remind me to be kind and compassionate… and that we are all connected in this little blue planet we call Earth. Once I have stitched it, I intend to make the pattern available to anyone that wants it for free.